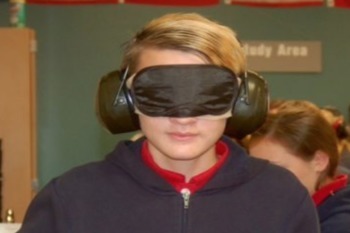 Students at a public charter school in Utah had the opportunity to experience simulated deafness and blindness. Vista School students who participated in the simulation learned what it was like to live with deaf-blindness and how to interact with those affected by such conditions. The demonstration was organized and instructed by teachers from the Deaf-Blind Services division of the Utah Schools for the Deaf & the Blind. If you are living with blindness, SDCB has several programs that can assist you.